The phrase “Road Trip” is usually met with either glee or horror. I’m often reminded of the Chevy Chase movie National Lampoons Vacation and believe that as long as NONE of THOSE events happens during my trip, then it is a success. I enjoy taking a road trip and have taken many. When else can you have an extended period of quality time with friends/family in an enclosed environment? 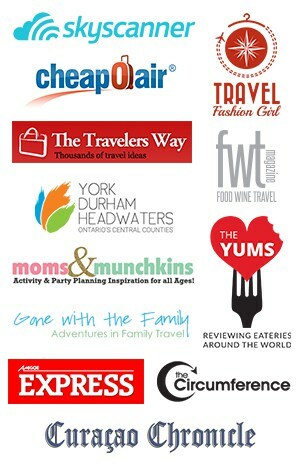 Granted this is only a great experience if you like your travelling companions. My husband and I recently took a road trip driving from Canada down the east coast to Fort Lauderdale to board a weeklong cruise holiday. Driving time = 22 hours. Like I said…you have to truly like (love) your travelling companion – if not, this adds up to 22 hours of hell in a moving box. Check this article with some road trip tips for couples. 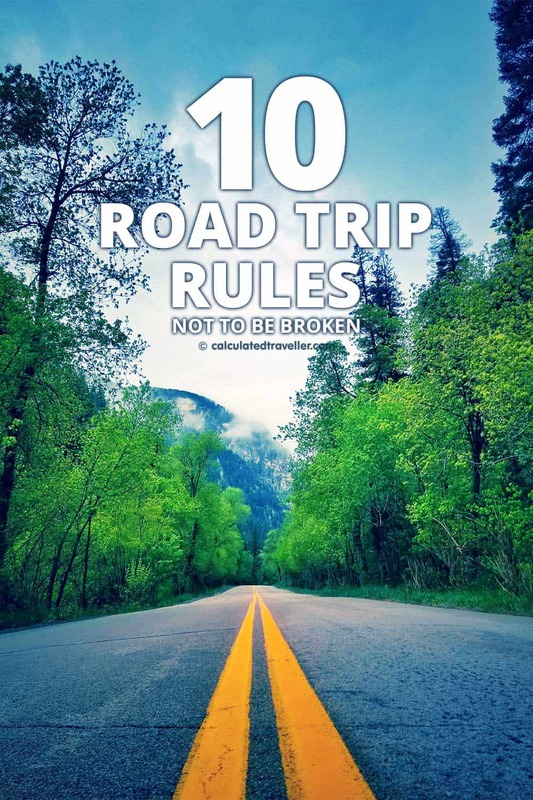 If you are heading on the highway looking for adventure, the best way to make sure it’s a smooth, fight free, trouble-free, safe journey is to follow my personal set of rules to drive by when on a road trip. 1. Whoever is driving chooses the tunes. 2. Two Drivers are better than one. 3. It’s the navigator’s fault – not the driver. 4. No silent stink bombs. 5. No messy/stinky foods and snacks. 6. Eat light on the road. 7. No unscheduled pit stops. 8. Stay on schedule and on time. 9. Don’t hog the motel bathroom. 10. Be honest and stay safe. Who controls the radio on a road trip? The driver of course. The point to the music is to keep the driver alert and happy to be the one driving. If you don’t want to drive, my advice to you is to bring music that NOBODY else wants to hear…Copa Cabana anyone? Either that or start singing along — someone else will want to drive REAL soon. If driving at night, one person must stay awake with the driver to help keep the driver alert and occupied. Either that or change drivers often. It’s very tiring to drive when it is dark out. We like to listen to books on tape at night; it’s as if there is another person in the car telling you a story and because you are busy concentrating on the story, you won’t feel compelled to have to talk, talk, talk. The key here is to make sure that the story is a thriller or something interesting. Road Trip Games are also a great way to for the driver and passenger to stay alert but make sure it isn’t a distraction from the road! It’s not only difficult, but it’s entirely unsafe for the driver to be looking out for traffic and other cars etc. AND have to worry about the map at the same time. It’s the navigator’s road trip responsibilities to track the current location and look out for the next turn and give the correct instructions. In this case, a “back seat driver” is a good thing! A road trip is not the time to pack salmon or egg or any sandwich with lots of onions or a drippy saucy meatball sub. You’ll smell it for hours afterwards, and you’ll make a mess in the car. Gas station bathrooms don’t normally win the clean bathroom award. It’s best to get in and out of there as fast as you can. If you are stopping at a gas station, use the facilities even if you don’t have to go. You don’t know when the next rest stop will be and it might be disgusting. Trust me you don’t want to be desperately looking for a gas station or be the one passenger that delays the trip for everyone else. No one is looking forward to the 3 am wake-up call either, and it’s not fair for your travelling companions who woke up early to be on time if they have to wait for you. If you are stopping to sleep on the road and our sharing a motel room, let your travelling companions hit the shower first if you plan on taking a long hot bath/shower (or stink it up). If you feel tired and can’t drive anymore – say so. A road trip is not the time to try to be the tough guy/gal and push it when driving. I’ve personally experienced the horror of being asleep and being awoken by the sound of the rumble strips under the tires as we were starting to veer off the road. Thankfully no harm was caused. Know your limit and drive within it!. Roadtrip rules are not made to be broken! Follow these rules to a “T” and you are sure to avoid being in the next National Lampoon road trip movie! 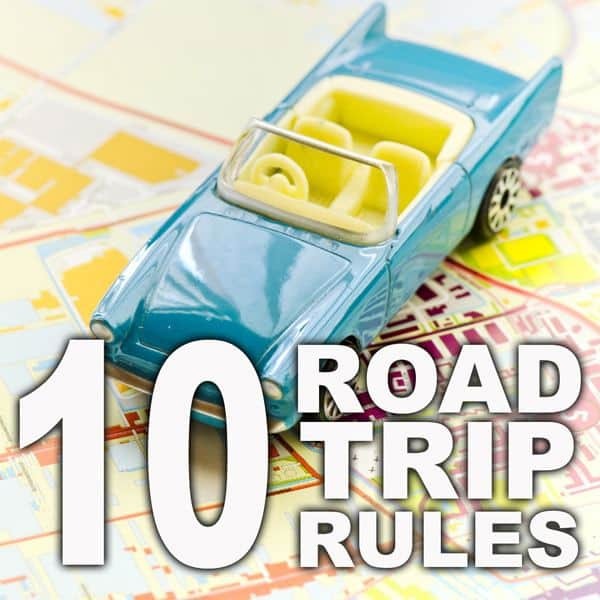 Do you have any more rules of a road trip to add? Join the discussion! Great tips! We’re essentially on an 8-month road trip right now, traveling by truck/trailer for work. These tips are ones we follow ourselves. My favorite: take advantage of the fuel stop whether you have to “go” or not. No unscheduled stopping! Safe travels on the road Tamara. Thanks for stopping by! 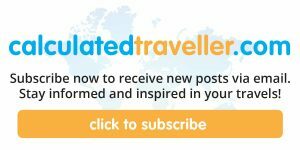 Great tips, I love all the personal tips especially ‘no quiet stink bombs’ 🙂 Have a great time at Tbex! Thanks Noel for your comment. My husband is classic for telling me after the fact with a sheepish grin on his face and a “sorry…”!